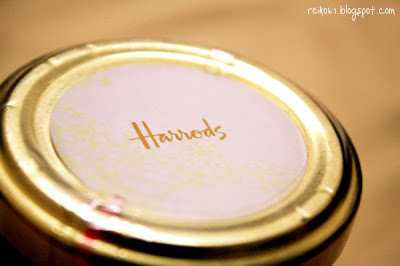 Harrods is a brand founded in year 1834, and I just got to know this brand last month. Shame on me I know!!!! And somehow the image of a cute, fluffy, warm teddy bear appears in my mind. I guess this is the only piece of impression that I have for Harrods. He bought me a bottle of JAM! LOL!!!!!! I don't know what kind of facial expression I should give him. Hahahahahahahaha~ Out of words at all!!! And Bun were asking me: Eh!? You don't like this ar? Then I answer: No ar, Ok ma..... LOL!!!!!!!! 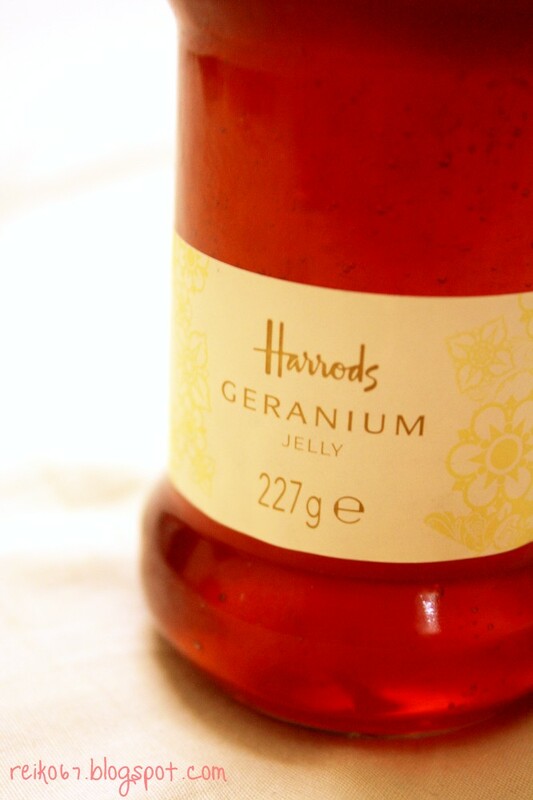 Harrods Geranium Jelly. 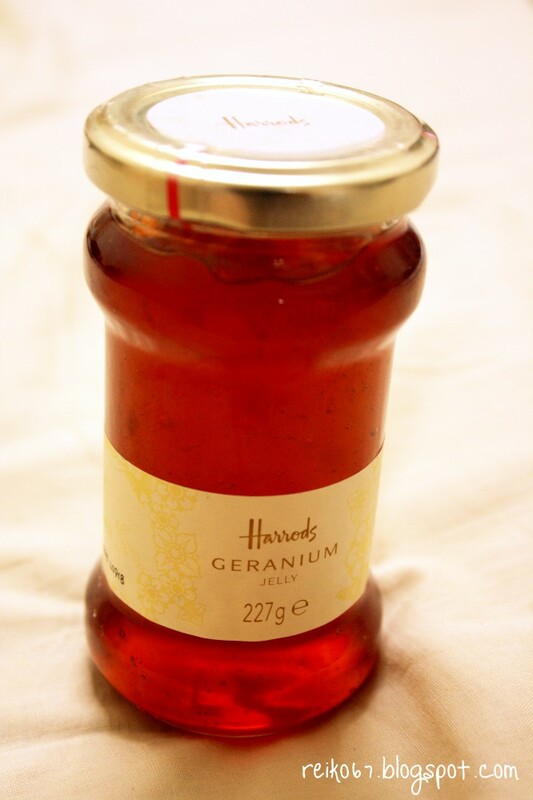 What's a Geranium jelly anyway!!!????? 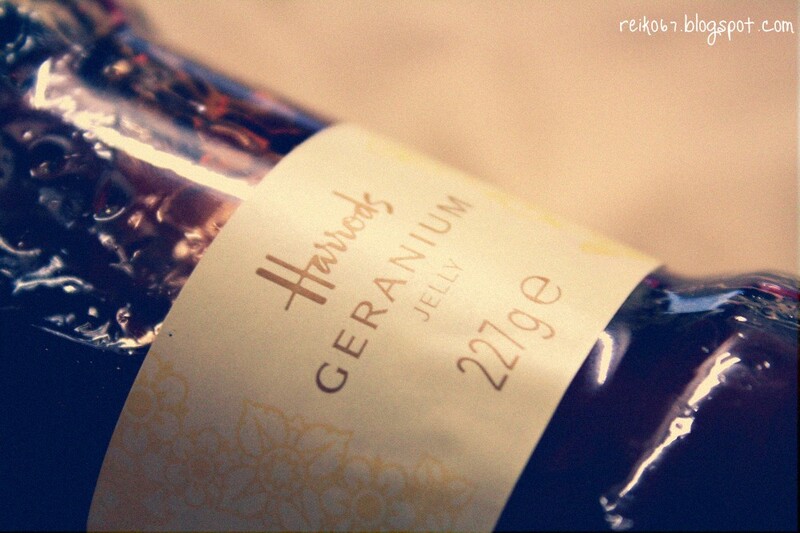 This bottle of geranium jelly costs RM16. Kinda pricey for a bottle of jelly, but the taste is a bit different from what's providing in the current market. It's made of red current juice, lemon juice and geranium oil. Taste like red grape + lemon + honey-like sweetness. A refreshing kind of taste. The texture is more to liquid type rather than solid. So you just need to take a small amount of the jelly and able to spread on one whole piece of bread! Bun even suggest that next time, I can buy Harrods stuff for my friends. Yes, I believe I will! With their cute packaging, and some with teddy bear metal box, who wouldn't love Harrods stuff? I'm start to fall in love with Harrods.